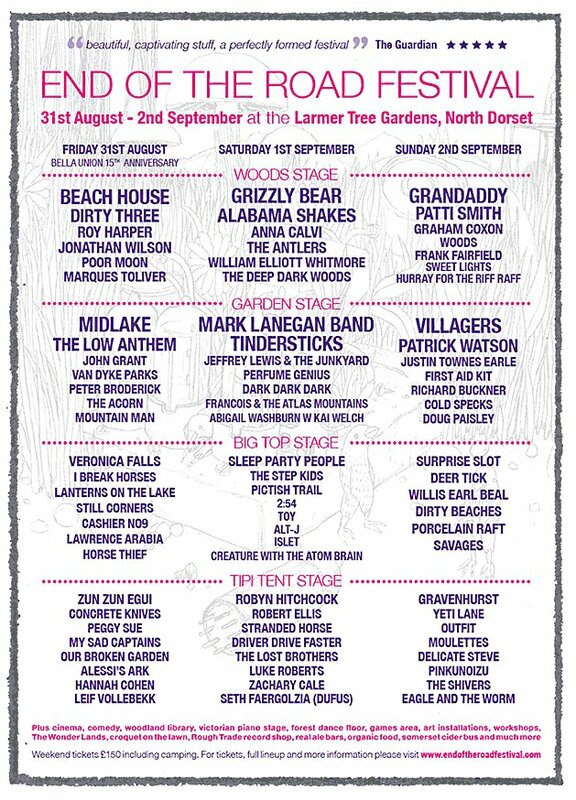 I feel pretty honored to have been asked to play this year’s End of the Road Festival in Dorset, England. I was lucky enough to experience it as an audience member last year and had an amazing time. It’s the best festival I’ve ever been to without a doubt. I’ll be performing a solo set on the second day of the festival (Sept. 1st) at 1 pm in the afternoon. I’m sharing the same stage with one of my heroes, Robyn Hitchcock! I hear the tickets are almost sold out so if you’re planning on going don’t hesitate!!! I have a bunch more UK dates in the works. I’ll be announcing the tour schedule shortly!